The Lamb Or Goat Offering. “And if his offering be of the FLOCKS, namely, of the sheep, or of the goats, for a burnt sacrifice; he shall bring it a male without blemish. And he shall kill it on the side of the altar NORTHWARD before the Lord: and the priests, Aaron’s sons, shall sprinkle his blood ROUND ABOUT upon the altar. In this offering, we begin to see some participation on the part of the one offering the animal. The offerer does the killing before the altar ON THE NORTH SIDE. Then the priests sprinkle the blood ALL AROUND THE ALTAR. As you learned in part 3, the altar speaks of God’s holy requirements of man. Blood sprinkled ALL AROUND the altar at the base depicts an understanding that the blood of Jesus satisfied ALL God’s holy and righteous claims on sinful man; that even the lowest, most sinful person can be forgiven. Jesus finished the work: WE BENEFIT! This is a depiction of a worshiper that has a bigger revelation of Jesus and, as a result, a greater appreciation of the blood. Blood poured out on the North side points to the fact that Israel’s ENEMIES came from that direction. This person understands he is protected from attacks of the enemy. It is a message to us that all our enemies had better beware because we are surrounded and protected by the blood of Jesus! They CANNOT cross the boundary of the blood. 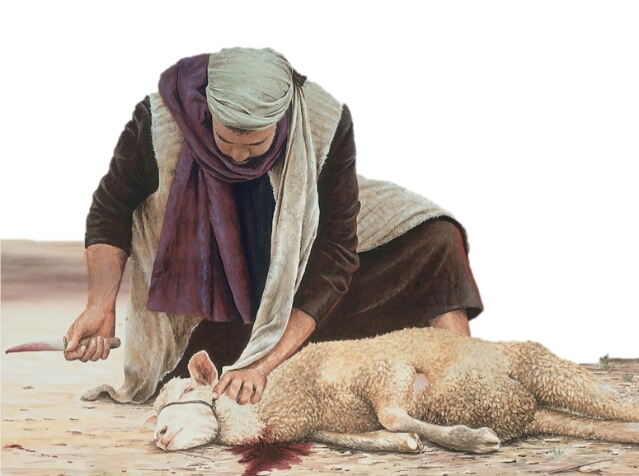 The lamb, of course, had to be “without spot,” or blemish. Notice that though the Law required the animal to be “without spot,” it does not say, “without wrinkle. Why is this significant? Spots are there as a result of being born; wrinkles come later as life happens. Jesus was “Born without blemish,” and walked through life on this earth “Without wrinkle,” as well. When He died, it was His sinless life which qualified Him to die that death on our behalf. Our perfect sacrifice, Jesus, was BOTH: Without spot OR wrinkle! After the sheep or goat was killed, the priest gutted the animal and placed the HEAD and its FAT on the altar to be burned. Then he did something very strange: He washed the ENTRAILS and the LEGS with water. Why not just wash the whole thing? Head speaks of intelligence and knowledge. Jesus has complete “knowledge” of the Father’s will. In fact, no one knows it better! Fat, on the other hand, produces energy. Jesus has both the knowledge of God’s will and the energy to carry it out. But what’s the washing all about? The root word for “inward parts” is the same as the word for “heart and kidneys.” Water, in Biblical typology, depicts the word of God. Jesus has His Father’s word in His heart, His inward motivations and outward actions are motivated by the word of God…..and He has the LEGS to carry it out! That is so unlike you and I. Try as we might, we begin with the best of intentions. But we can’t keep it up. Our “legs” give out. Like Paul, our dilemma is the good we know we should do, we don’t; and the evil we try not to do, that we do! WE NEED A SAVIOR! We need Jesus! 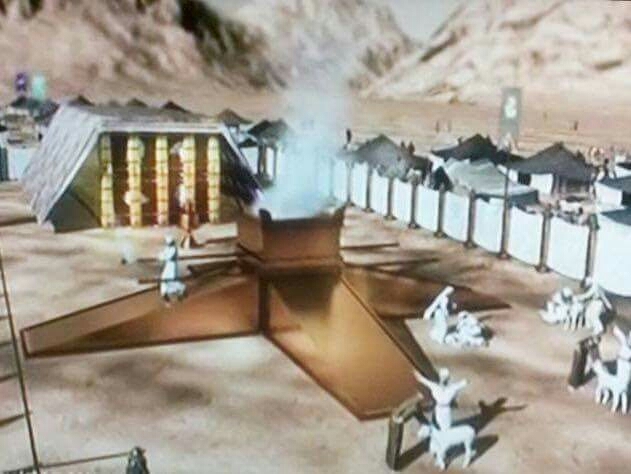 Notice the four horns of the altar in the picture above? Horns speak of authority and, as you already learned, the altar speaks of God’s claims on sinful man. The four horns is a depiction of the cross on which Jesus died which has four points. It is efficacious for all four points, or corners, of the world: North, South, East and West. His death availed for everyone! What a good Father we have! He wants everyone to be saved and forgiven of all their sins and to avail themselves of what Jesus did for us at the cross!